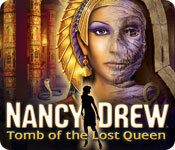 Nancy Drew: Tomb of the Lost Queen is rated 3.7 out of 5 by 52. Rated 2 out of 5 by dabmagrl from Very disappointed! This is the worst game I have gotten from BF ever in 2 years. Had an awful time getting it to download, It was so glitchy I had to do it again. Still some glitches. Ought to be a great game but even without glitches it is boring & frustrating all at the same time. The story is not well explained - the phone conversations make me want scream but you MUST have them. No journal option really not a good idea in a game like this. I do not recommend & I have deleted it. Rated 2 out of 5 by Nancy61037 from Nancy Drew a Blank I should have gone down further in the reviews before getting this game. First of all too much dialogue to get through, no journal, no hint, no fun!!! I have some older ND's which were challenging but this one led me no where. The only good thing I can write about this is that I used a "free game coupon". And frankly it was wasted. This is my first pan on any game offered on BG. Sorry cannot recommend game. Rated 2 out of 5 by netnanna from BORING!! I have become so bored with the same bland scenery all the time, same translation puzzles over and over. Sorry I bought this, have deleted before finishing. Rated 1 out of 5 by phdstudent from most boring & frustrating game ever from bigfish I don't think I've ever thought of writing a bad review before but this is the most boring and frustrating game I have ever played from big fish. Unfortunately I only read the first few reviews. I should have known when I couldn't play a demo not to buy! Even though i used a voucher it was a waste! All I did was wander around asking boring questions from expressionless cranky characters, get lost in a tomb and find useless objects. I had no idea why I had a camera.I didn't really know what adventure I was meant to be participating in - or maybe I forgot it was so boring! I even got into trouble twice from the cranky girl! I played for maybe 40 minutes and gave up. Don't try the forum for tips, because all but 2 of the forums are locked! There isn't even a bigfish walkthrough that I could find - I googled for one. Stay away from this game. Don't waste your money. Rated 1 out of 5 by pbeck_2012 from Stay miles away from this game if you have OS 10.9 There are several places where a "PC right click" (those stupid machines) is needed and the programmers could not see fit to allow CTRL-CLK to work as other games do and they have not instituted support for a two button mouse like my Logitech M510 that can "right click" to its hearts content everywhere else. It really stinks that we cannot get a trial game on these and it really stinks that they do not post known issues on the page to warn us before buying on a non-refundable basis. 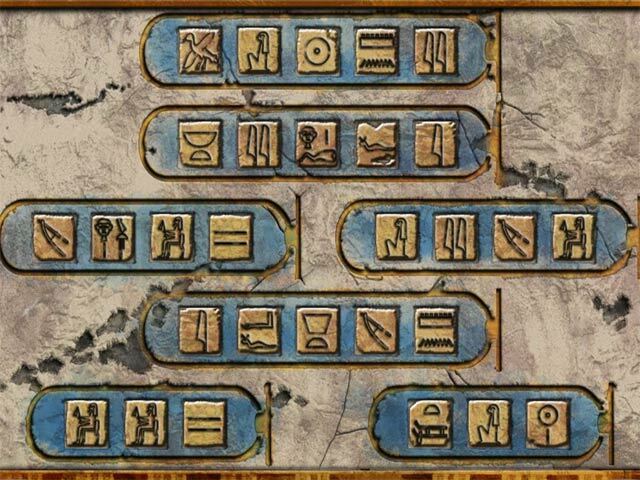 Rated 1 out of 5 by AbsoluteFabs from Dreadful I purchased this game because of the high rating by reviewers and because it featured ancient Egypt, but, of the many games I have purchased on BF, this is the worst ever. Here are some of the reasons; - No trial version - Misleading reviews giving this game a great rating (you obviously need to belong to the ND fan club to appreciate the game) - Lack of story line - Journal not edited automatically - Endless dialogues that can't be skipped - Magnifying glass showing when there is nothing to look at or investigate - Weak characters - Hints more misleading than helpful What a disappointment! Rated 1 out of 5 by krole91 from Wish I had read ALL the reviews! I played for about 15 minutes, then gave up. Wish I had not taken a chance on this one--too much chatter, and no way to fast forward through it. I got tired of trying to wade through it to get to the gameplay, so have no idea if that part is any fun. Rated 1 out of 5 by BarbB2 from Boring, Boring I was expecting a good adventure, HOG ...slow, confusing...dialogues that are boring...Graphics are not that good. Regret having wasted my money and not reading all the reviews.... I don't recommend the game. Rated 1 out of 5 by rua7bua from Not worth the low price I have to agree with Shapfell and Ndnd1: this is dreadful and yet just a few bits of consideration by the programmers could have made it brilliant. 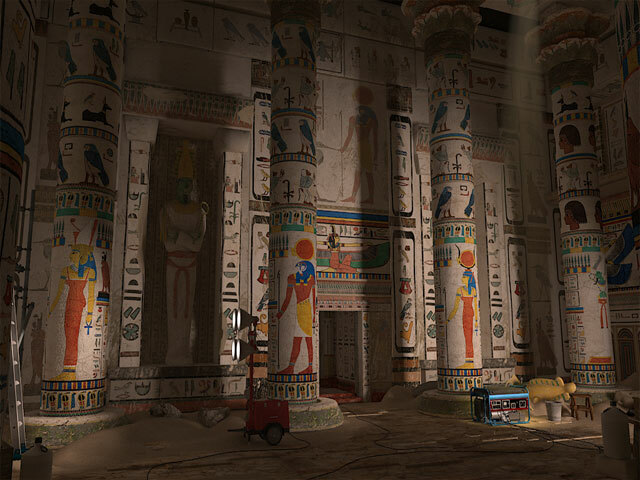 The graphics, especially inside the pyramid, are almost 3D and excellent, the characters well drawn and speech realistic. But the lack of hints or necessary explanation leaves you paralysedly frustrated. So, too, is the inability to stop the interminable talking on the mobile. And the seeming lack of a skip button when playing the first game (didn't get to others#, plus the lack of a reward when I won - what was the purpose of playing it? Arrows lead you forward in 8 rather than 4 directions so it can be easy to get lost, although I did seem to get back to where I wanted by instinct rather than memory. Also frustrating was that the cursor seemed permanently to be a magnifying glass which led to no actions when clicked - was this a glitch or not? It did turn white in some scenes and then initiated actions. There was also a hand to grab things. But the white magnifying glass and hand appeared only about 1/10th of the times #or less) than other games. Again, a glitch or not? No answers or guidance. The hint button appears on a mobile phone, but was inconvenient and useless. And the forced conversations on the mobile lost my will to live, certainly to play the game. Not worth the low price. Not worth it even though I used a free-game coupon. No wonder there was no trial version: I took that as a warning but was fooled by the high star count given by some reviewers. Rated 1 out of 5 by Shapfell from Couldn't Get Past the Start This game took a long time to download and I had to try several times before success. When I started to play this I found I had to go through the whole start scene and dialogue with no option to skip or move on or go to the Menus. Once the game got going it went from bad to worse. Constant dialogue between the player and on screen characters began to get irritating and again no way of speeding this up or skipping. Then I got to the first game and found having to listen as to how each move was played left me with no will to live. This is with out doubt the worst start to any game I have played to date. 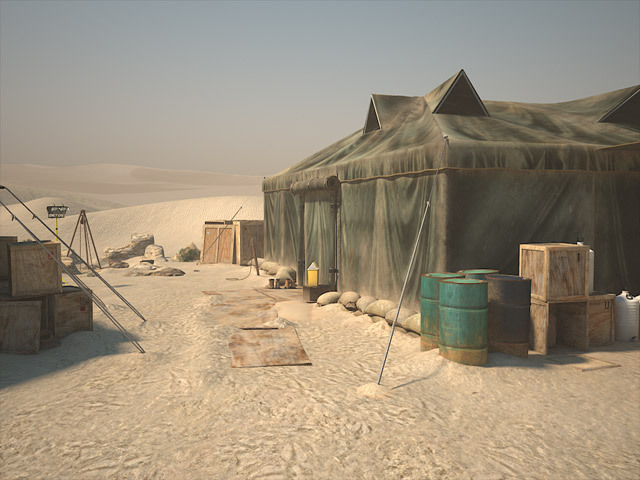 The graphics start out promising, in the Desert, but then that was it, once inside it became very simplistic. I may give it another go but a good game should capture the player from the very first credits and this one spectacularly failed to do so. Save your money and time and look for another game. Rated 1 out of 5 by ndnd1 from poor game worst game ever on big fish ,half hour was all that was needed to remove.